Pork Chops, Stuffing and Cauliflower Cheese! This cauliflower cheese is dedicated to KY..Yeah I ate enough for him too, don’t worry! 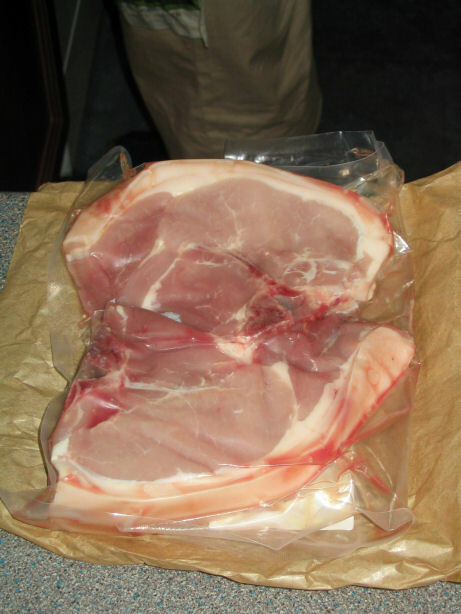 Apologies for the earlier post, I got mixed up, those were lamb chops not pork chops, lamb chops are a lot smaller. Lamb chops with mint sauce, pork chops with apple sauce, just remember that. 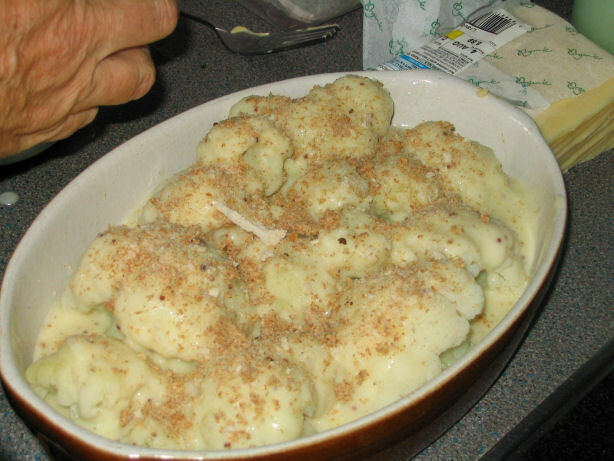 Take some nice fresh cauliflower and boil it for about 5 minutes in plain water..
Pour the cauliflower into a baking pot, cover in cheese sauce (White sauce with some butter, grated cheese and a couple of teaspoons of wholegrain mustard to give it a kick + normal salt and pepper) and sprinkle some breadcrumbs on top. Stick it all in the oven and roast it. Cauliflower should end up like this, nice and moist with a crunchy cheesy top layer. 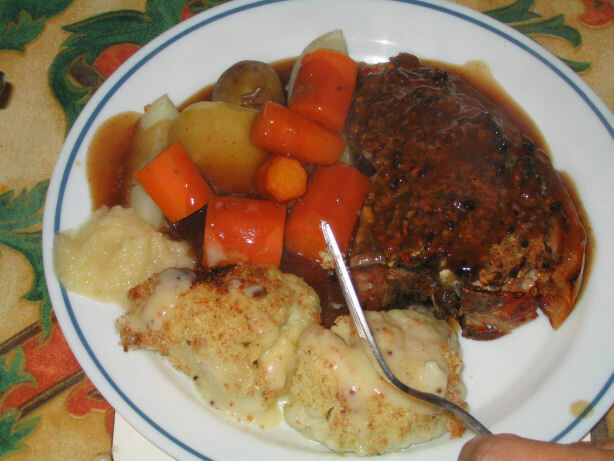 Pork Chop should come out like this, nice and juicy because of the stuffing with a crispy rind, served with normal boiled potatoes and carrots..
Add some Cauliflower Cheese, some tangy home made apple sauce and some nice meaty gravy made from the fat in the bottom the pork pan. Baked Potatoe & Worcester Porcelain – Classic! 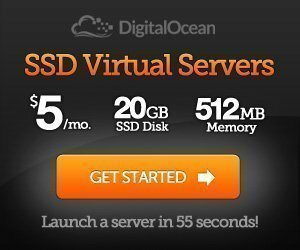 Make a Pledge – Support the BLOGATHON! 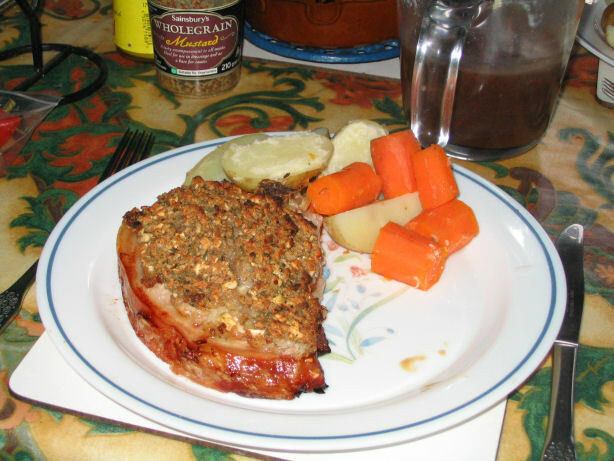 19 Responses to Pork Chops, Stuffing and Cauliflower Cheese! I AM GGOING TO SLAUGHTER YOU… I get hungrier and hungrier every time i come here… URGH! Yea, let’s see Jamie Oliver do better than that! I’d pay you to regurgitate that for me. ST i will kill you if you ever coming to singapore! haha i wouldn’t eat the pork chops for a mile but the cauliflower has sent me salivating. urgh!!!! 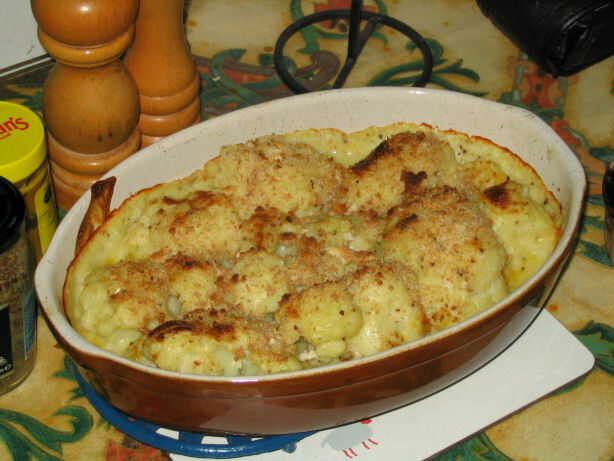 I love cauliflower cheese. Yum! By the way, your trip back home was stupendous, all the yummy food. i have just classified your food blog as EVIL! damn, i want some porky now. game for klang bahkut teh? heh! very nice. 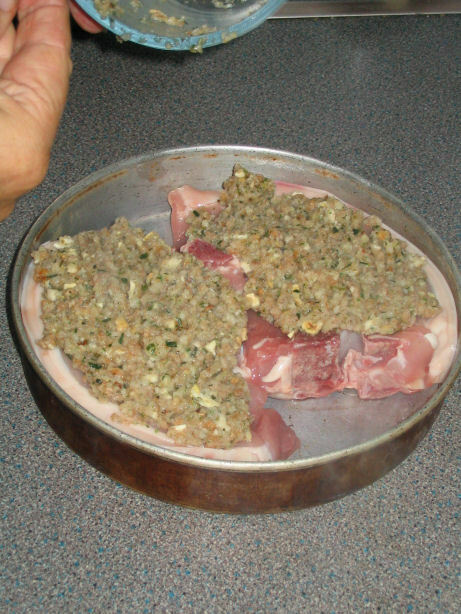 btw, what do u use for the stuffing? yummy. 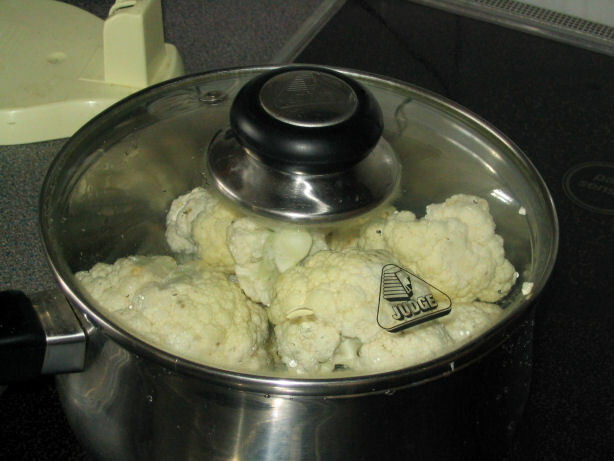 btw how long does it take to roast the cauliflowers? Paxo stuffing in a packet, my mom used to make it long ago but it’s too much hassle and the bought stuffing is nice. Around 20 minutes should be good. kpy: I’m sure he’s been there, ate that. It’s not much of a novelty nowadays. You can even get balut in Malaysia. d’oh. bangers and mash! bangers and mash! this is my first time at your blog, and already i hate it. Do you know how agonising it is to drool at the screen when the only food available in the house is muesli (and with bleepin’ raisins too)? My parents lived in England for almost a decade. Then they moved to Kuching, Sarawak. My mom’s “western cuisine” look exactly like what you posted here. The “western breakfast” she cooked always have baked beans. But after living in San Francisco for a while(really delicious food, fusion california style, all kind of cuisines),….. I’m spoiled now. Oh, something I observed, there, you guys steam your vege. here.. not so much, americans like their salad.